2. Click on your map and go to the Town. 3. Head into the Dance Club and up the stairs. 4. 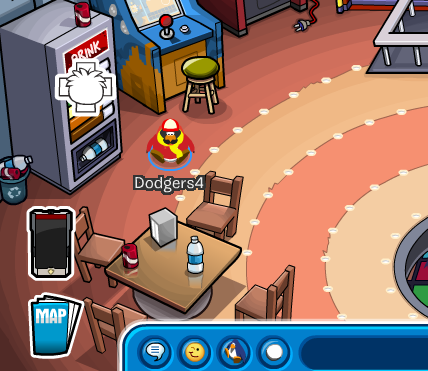 Congratulations you found the Puffle Medic Pin! You may place it on your player card if you wish. Do you like the new pin?